During the 2016 Presidential Election, Danish political party SF saw an opportunity to raise both their voice and their political popularity – by literally rolling their eyes at the political circus taking place on the other side of the world. They reminded Americans living abroad that their votes mattered. With the US presidential election in full swing Denmark got dragged into the political agenda over and over again. To distance themselves from the electorial circus, the Danish left wing party, SF, engaged the 8714 US expats living in Denmark (and the millions of US expats in the rest of the world) in the battle against Donald Trump. 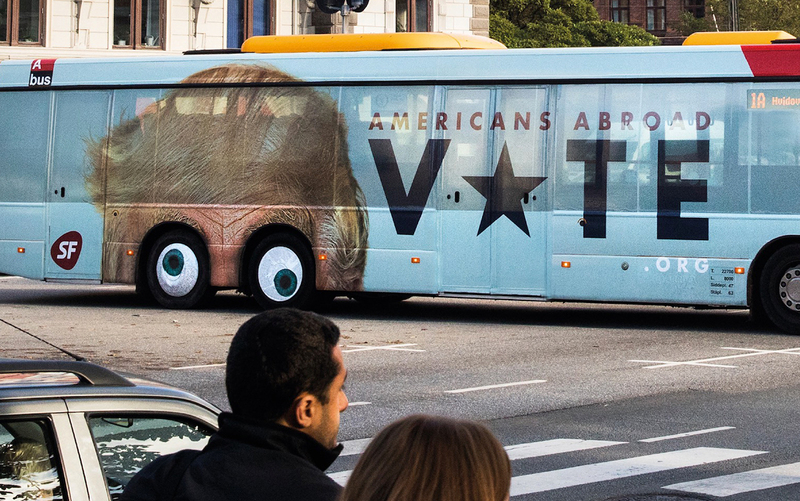 We wrapped one of the busiest busses in Copenhagen with a tongue-in-cheek statement placed on the side of the bus. 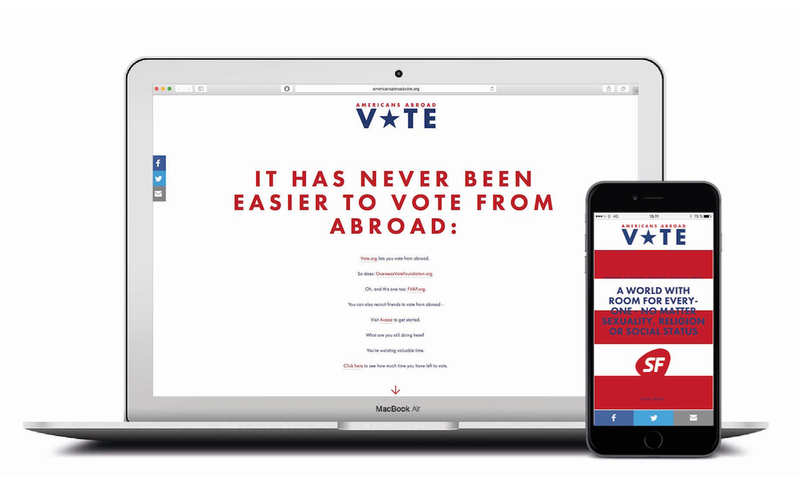 It read: AmericansAbroadVote.org and encouraged Americans living in Denmark to vote. A huge portrait of Donald Trump was placed above the wheels of the bus, with customized wheel caps looking like his eyeballs. When the bus rolled down the street, so did his eyes, displaying him as the lunatic he is. 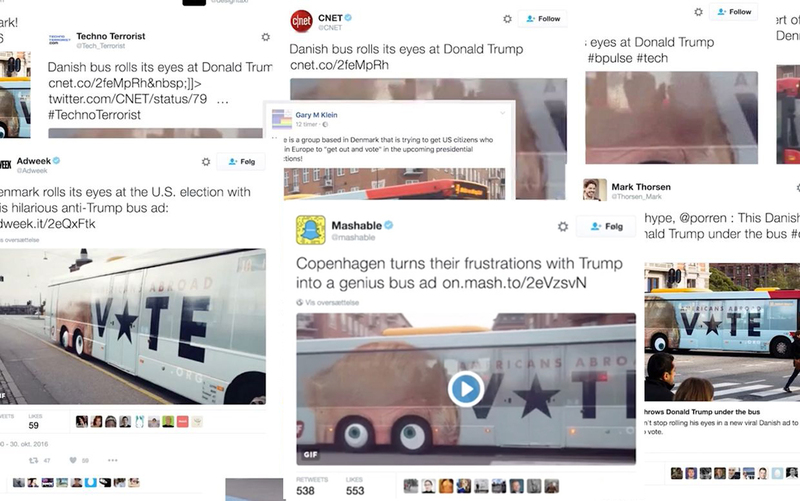 The bus ad directed people to AmericansAbroadVote.org where they could learn where and how to vote from abroad.